Le championnat canadien aura lieu à Victoriaville, Québec le 15-16 aout. Les courses auront lieu sur un bel anneau rapide de 400m. Notez que les inscriptions doivent êtres recues par la poste par le 12 aout. 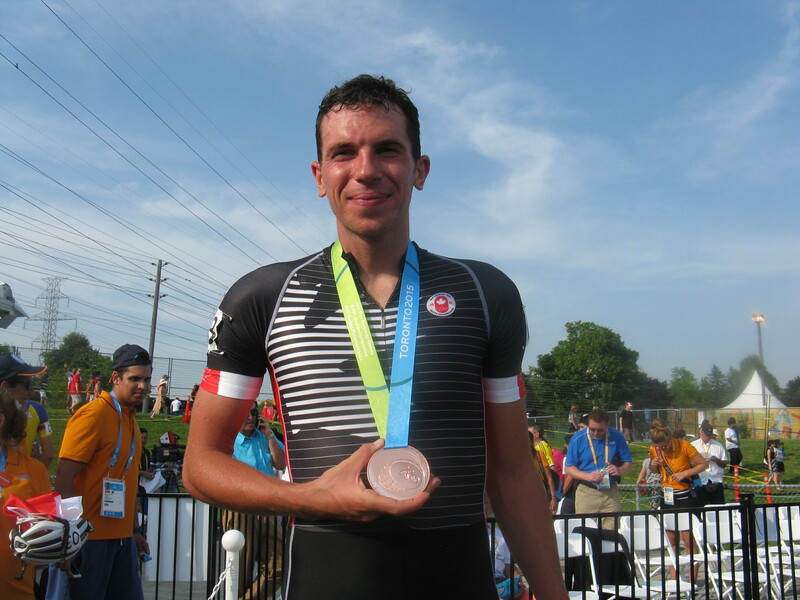 Canada’s Jordan Belchos won the bronze medal in the men’s 10km points race at the Toronto 2015 Pan American Games on Monday July 13th. 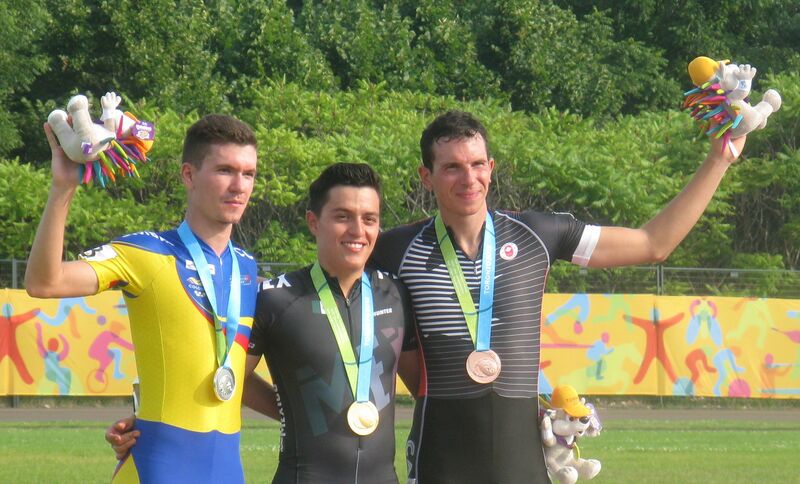 Belchos collected the bronze medal in dramatic fashion, breaking away from the pack in the second half of the race, collecting second-place points while chasing down Mexico’s Mike Paez, the eventual Gold medalist in this distance. Belchos, who started his skating career with the Toronto Inline Skating Club in 2002 and eventually focused on long track speed skating, collecting World Cup medals and recently setting the Canadian 10km record this past March, was cheered on by his parents, friends, and the local skating community. 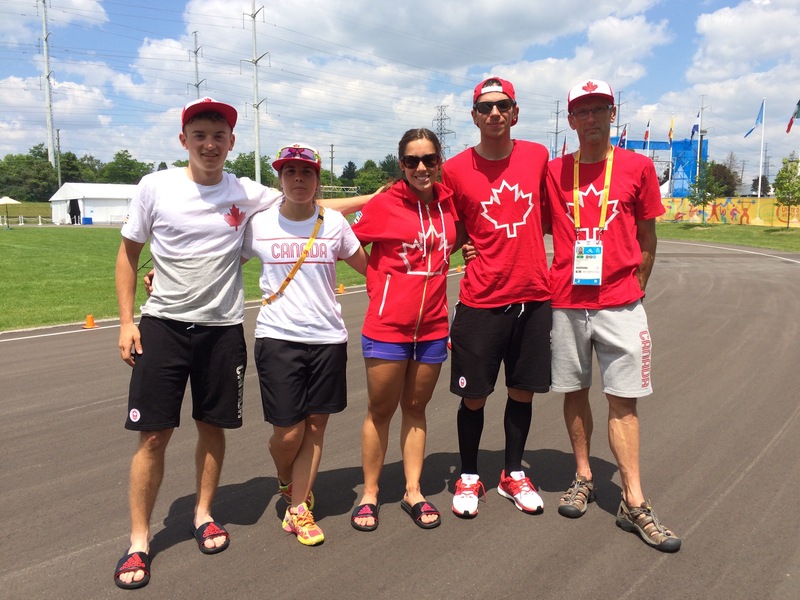 All the best to Jordan Belchos, Christopher Fiola, Morgane Echardour, and Valérie Maltais who will represent Canada in the roller speed skating events at the Toronto 2015 Pan American Games on Sunday and Monday. 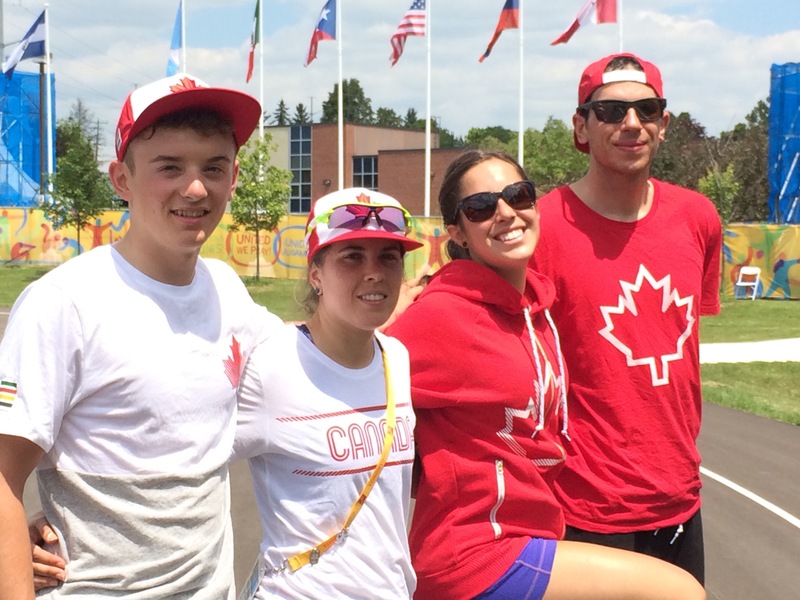 Bonne chance à Jordan Belchos, Christopher Fiola, Morgane Echardour, and Valérie Maltais qui vont courser dans la compétition de roller vitesse aux jeux pan américains Toronto 2015 dimanche et lundi. Kailah Macri participera dans la compétition de roller artistique demain. Elle fera ses deux programmes, un long et un court. 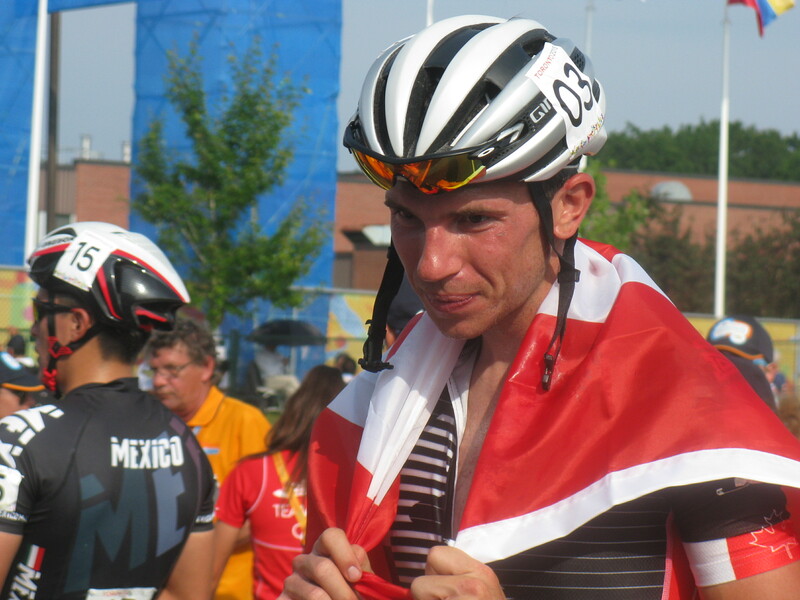 This is your opportunity to cheer on Canada’s best and watch some of the world’s fastest racers!! 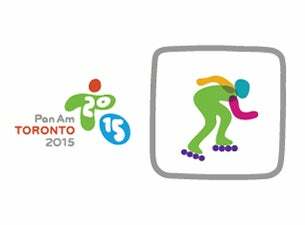 A block of Pan Am Games tickets for the roller speed event has just been released. 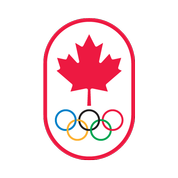 Ceci est votre chance d’encourager l’équipe canadienne et de voir les patineurs les plus rapides de la planète! Des billets pour le roller vitesse aux jeux pan américains sont maintenant en vente. 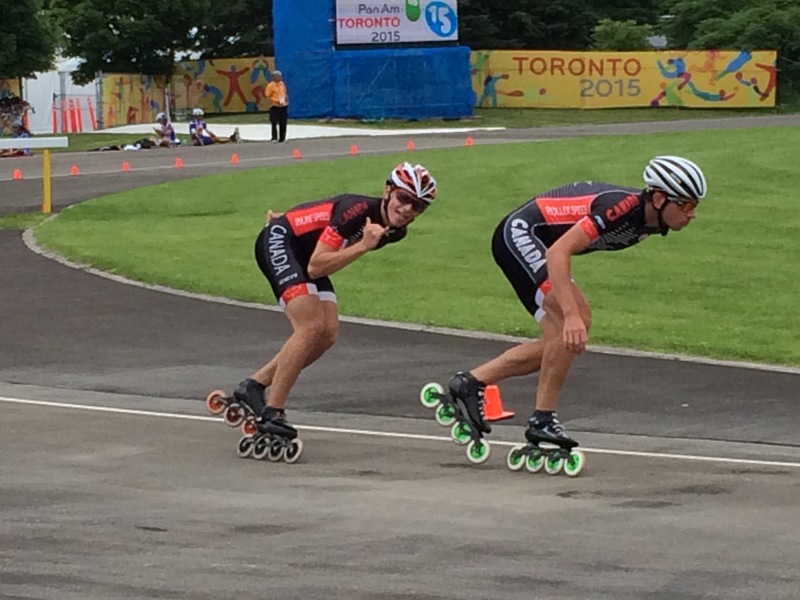 CBC’s David Common tried a number of Pan Am sports in the run-up to the Games to see how challenging it really is to be among the best.